You are probably all sick of reading, hearing and dreaming about Brexit by now and I certainly do not propose to comment on whether no deal is better than a bad deal or whether the blockchain can create a virtual hard border for Northern Ireland, but there is one potential implication of Brexit that I do want to flag up here for discussion. Brexit may restart the discussion about ID cards. To give just one instance of this meme, The Independent looked at a report from the think-tank Policy Exchange and said that “the UK should consider introducing ID cards after Brexit… it argues that Brexit marks a natural point at which to reform the UK’s immigration system”. The Policy Exchange report was written by David Goodhart and Richard Norrie, and what they actually called for in the report is the creation of (essentially) a population register, giving everyone a unique number to facilitate interaction with the state. They say explicitly that the system “should not require a physical ID card, let alone the obligation to carry one”. In that newspaper article on the report, David goes on to say that they want to reopen the debate about ID management to “reassure people that we know who is in the country, for how long, and what their entitlements are”. It’s my emphasis on that word “entitlements”, and I’ll come back to it in a moment. 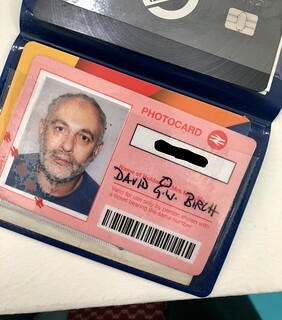 I wrote an article about identity cards for David when he was the editor of Prospect magazine, way back in 2005, in which I said that some form of citizen register “is clearly a good idea”. I wrote another article for him back in 2007, in which I said that the (then Labour) government should radically rethink its ID scheme, moving away from the obsession with ID cards and “focus instead on allocating a unique national identity number, backed by biometrics, to each citizen—that is all that needs to be held in a national register”. Nobody listened to me (except David!) and I do not recall ever being consulted on the topic by the government. Anyway, the point of my writing all those years ago (and I also covered the topic in my book Identity is the New Money in 2014) was to separate the register that is used to determine uniqueness from the scheme that is used to determine entitlements. I think my general point and about moving to entitlements and leaving personally-identifiable information (PII) out of transactions has been not only borne out but reinforced by GDPR and subsequent developments in the world of social media. If Brexit means an opportunity to rethink at the national level, but this time involve some expert opinion, I’m all for it. As I have written before at tedious length, we do not need a national identity scheme, we need a national entitlement scheme. And now is the time to starting thinking about what it might look like. So here go. As David touches on with his comment, the real solution is to our 21st-century identity crisis not an Indian-style Aadhar identity number or a Chinese social score, but a general-purpose National Entitlement System (NES). Very few people reading either the Policy Exchange report or this blog will remember the long ago days before the last Labour government’s attempts to introduce a national identity card, but there was a time when there were consultations afoot around a much better idea, which was a national entitlement card. As my colleague Neil McEvoy and I pointed out in Consult Hyperion’s response to that consultation, the “card” is only one mechanism for storing and transporting entitlements and in the modern age there might be better ones, such as mobile phones for example, that can not only present credentials but, crucially, also validate them (a subject I will return to). Suppose that the vision for national identity (based on the concepts of social graph, mobile authentication, pseudonyms and so on) focused on the entitlements rather than on either the transport mechanism or biographical details? Then, as a user of the scheme, I might have an entitlement to (for example) health care, Wetherspoons or access to the Wall Street Journal online. I might have these entitlements on my phone (so that’s the overwhelming majority of the population taken care of) or stored somewhere safe (eg, in my bank) or out on a blockchain somewhere. Remember, these entitlements would attest to my ability to do something: they would prove that I am entitled to do something (access the NHS, drink in the pub, read about Donald Trump), not who I am. They are about entitlement, not identity as a proxy for entitlement. A decade ago I set out a vision for a 21st-century identity card. I tried to make it a vision that the public and the government and journalists and think tanks and everyone else could understand. It was a vision with genuine innovation and potential that subsequent technological developments have served only to sharpen. I tried to build a narrative founded in mass media because that’s where MPs and their spads get their science and technology education from (they are all arts graduates, so their knowledge of STEM is limited). This led me to suggest that in this matter, as in so many other things, Dr. Who should be the guide. Just as Motorola famously created the flip phone around the Star Trek communicator, I created a vision of an entitlement service around Dr. Who’s psychic paper. As any devotee of the BBC’s wonderful series knows, the psychic paper shows the “inspector” whatever it is that they need to see. If the border guard is looking for a British passport, the psychic paper looks like a British passport. If the customs officer on Alpha Centuri wants to see a Betelguesian quarantine certificate, the psychic paper looks like a Betelguesian quarantine certificate. It the bouncer is looking for a party invite (as shown in the picture below), the psychic paper looks like a party invite. 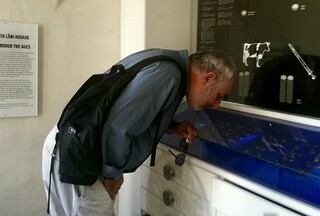 Christopher Ecclestone flashes psychic paper. We all grew up with Dr. Who, and the show engenders warm nostalgia. Now, obviously, there’s an age-related component to this. My favourite monsters were the cybermen and I always wanted to work for Brigadier-General Lethbridge-Stewart, so that gives my age away, but my kids enjoyed the show just as much and I’m sure the current generation are enjoying our new lady doctor just as much. Dr. Who is the perfect mechanism for explaining technology the public and to MPs and Ministers. However, “a national entitlement scheme” sounds a bit 1950s and a “psychic paper scheme” sounds too much like science-fiction, so I’ve decided to re-label it: welcome to the Brexit Bona Fides scheme. You cannot forge this credential because it is digitally-signed by the issuer. If a 16-year old copies an 18-year old’s certificate into their psychic paper, it won’t work, because the incoming messages will be encrypted using the 18-year old’s public key, but the 16-year old lacks the corresponding private key (which can’t be copied because it’s never given up by the psychic paper — sorry, iPhone secure element). Since transmitting the photograph and appropriate credentials directly into the brain of the nightclub bouncer isn’t possible, we will of course need to use some kind of clever communication device instead. Luckily, just such a device already exists: the mobile phone. My mobile phone would be able to check the entitlements that it is allowed to when presented by your phone, so none of us would need special equipment. I show up with my phone and claim that I am entitled to vote: my phone presents a QR code that is read by the polling clerk’s phone which flashes up my picture if I am entitled to vote or a red cross if I am not. I walk up to Wetherspoons and the pub requests an IS_OVER_18 credential. 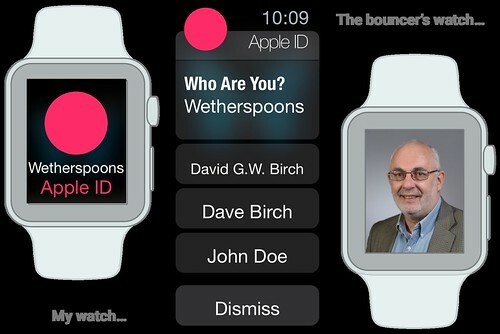 My Apple Watch (or phone or whatever) presents a list of virtual identities that have such a credential digitally-signed by an authority acceptable to Wetherspoons (ie, one that they can sue if I’m under 18) and, assuming that I’ve chosen one that is valid, my picture pops up on the bouncer’s Apple Watch. If I don’t have such a credential, the bouncer sees a skulls and crossbones or something. The customer never sees any of the jiggery-pokery hiding their personally identifiable information (PII). In 99 out of 100 cases, displaying your photograph is the only authentication required: There’s no need for the supermarket to check your fingerprints, for the doctor to demand a PIN or for the pub to take a DNA sample. This isn’t really magic, or even that complicated. It’s all done using standard contactless communications, standard cryptography, standard protocols, standard chips, cards, phones and photos. 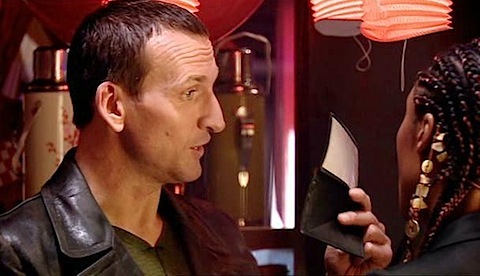 Incidentally, after writing many year ago about how we could implement a psychic ID card using the same contactless technology as is used in Oyster cards, I literally fell off my sofa after settling down to watch a long ago Dr. Who Easter special only to see the BBC steal my idea! Yes, Dr. Who got on a London bus using his psychic ID card (see video here), clearly demonstrating that it has an ISO 14443 interface that can fool machinery as well as the psychic interface that can fool people. Meanwhile, back in the real world… note that when using Brexit Bona Fides, no-one can read your psychic paper — no-one can check your Bona Fides* — unless they are allowed to and when they are allowed to, and all they can see is what they are allowed to see. No more showing the guy in the pub your name, date and place of birth and goodness knows what else just to prove you are 18. Under the hood, it’s all done using keys and certificates, credentials and local authentication: The nightclub bouncer has had to obtain a digital certificate that allows him to interrogate your ID card. His phone sends the certificate to your ID card. The ID card checks it, sees that it is asking for a proof of age. It sends back your photograph, digitally-signed (that’s how his phone knows it’s a real ID card, because it can check this signature). If you’re not old enough to drink, it sends back a digitally-signed red cross (or whatever). Bona Fides will show the GP your health service number but only if you have the right to NHS healthcare, otherwise it will be blank. Bona Fides will show the employer your national insurance number (but only if you have the right to work in the U.K.). Bona Fides will show the pub absolutely nothing except your photograph (but only if you are old enough to drink). So this is a user-friendly way to implement all of the privacy-enhancing technologies that we would like to see incorporated in a modern national identity card scheme: sector-specific identifiers, pseudonyms, mutual authentication. Now, this may have sounded far-fetched back in 2005, but let me point you to the new Louisiana smart driving licence. As a couple my LinkedIn contacts pointed out, this implements some of the key psychic ID concepts. 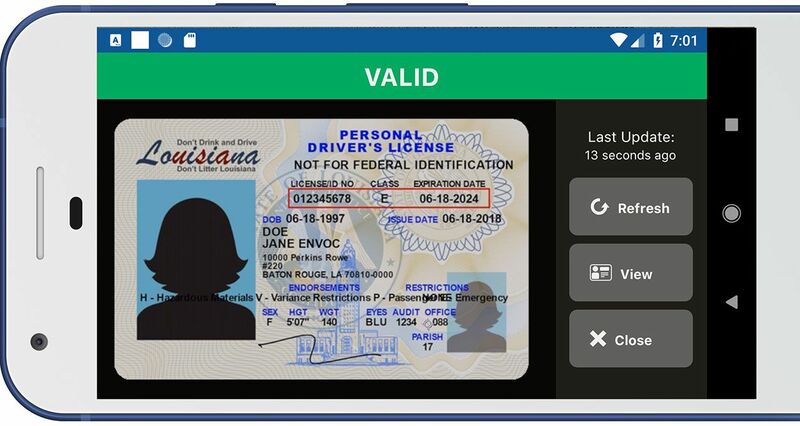 The smart driving licence app means that a holder can authenticate another person’s Louisiana digital driver’s license. In the bar case study, it allows the customer to select which information she would like to reveal to the bartender—such as that she is over 21. That information is displayed on the phone with a photo and embedded QR code. The bartender scans the code with her app, which tells her that the woman seated on the other side of the bar is indeed over 21. None of the customer’s personal information, such as her name, birth date, or address, is displayed or stored on the bartender’s phone. Given the the need exists, the vision exists and the implementation is demonstrably feasible, perhaps the trigger of Brexit can give us the digital identity infrastructure that our nation so desperately needs and the lack of which is such a source of friction and inefficiency. This is a way to deliver an identity scheme that provides both more security and more privacy. It does not need a big database with everyone’s details and it does not need expensive, custom-built, specialist equipment. In that 2005 piece for Prospect magazine I argued that that the government’s vision for the proposed ID card scheme was tragically out of date and backward-looking. Even the pressure group No2ID were nice about me, saying that that I was someone in favour of an ID scheme who actually knew what I was talking about but “unfortunately his preferred scheme is incompatible with the Government’s plans”. Indeed it was, but that didn’t matter because the scheme was scrapped by the next government anyway. Writing about this kind of entitlement scheme a few years ago, I thought that a national plan to finally do something useful about identity might obtain “parasitic vitality” (to use one of my favourite ID phrases) from the specific issue of voter ID. Maybe electronic voting could have been a focus to get the gov.verify scheme a flagship project and get the public and private sector working together to deliver an infrastructure that will be of benefit to all. None of this ever happened and gov.verify has gone, essentially, nowhere. So why am I still going on about this! Well, David Goodhart’s new report and other media comment has set me thinking that Brexit might finally provide the stimulus needed to develop the world’s first 21st century identity scheme. Not digitised identity, but real digital identity. Implemented correctly, it could make the UK a better place to work and play in a relatively short time. * Bona Fides, for those of you who went to state schools as I did, is a Latin phrase meaning “good faith”. My dictionary definition says that bona fides documentary evidence showing that a person is what they claim to be. Note not who they claim to be, but what they claim to be. It gives the usage “credentials, as in he set about checking Loretta’s bona fides”. I’ll go and register the domain “bonafid.es” right now. Yes, the gold standard for identity cards, the Southern Railway photocard, issued only to qualified commuters after rigorous KYC (you give them a photo and then write your name on the card yourself). The truth is that we don’t have a digital identity infrastructure (or in fact any other form of identity infrastructure) and the shambolic approach to identity is manifest in a daily litany of frauds, frictions and fantasies (often from the government). Here is an absolutely typical example: a nightclub is issuing its own identity cards since it can no longer rely on any of the other forms of “identification” that are in use. The nightclub manager says that the number of people presenting fake IDs is crazy, so the nightclub is going to issue its own identity cards with a picture on them. In order to get one of these cards, customers will need to present “two forms of up-to-date official ID” (not entirely sure what this means, since there is no “official ID” in the UK) and then in order to get into the club, customers will need either one of these club cards or a passport or a driving licence. I’ve written about this at tedious length before, but the core of the issue is that the identification mechanisms that are in use (e.g., driving licences) are impossible to validate and requiring them to be used at all actually leads to more identity fraud because the analogue artefacts employed are stolen, forged and abused in a variety of different ways stop. Before I continue with this specific example, let me make a general point about how I think these things should work in an always on, connected world. First of all, retailers and other service providers should all have their own virtual identity, or persona, for every customer because they need to be able to communicate and connect with those customers in order to deliver better services and products. In essence, every customer should have a loyalty card. The contents of that card should be unique to each service provider and any compromise of it should not lead to compromise with other service providers. In a digital identity world, this sort of thing is straightforward. You present a virtual identity from an organisation that is acceptable to the nightclub (e.g., a bank) and they send you back another virtual identity that contains things of relevance to the nightclub, such as your customer number and preferences. In the virtual world, this makes sense because your mobile phone can store millions or billions of loyalty cards. In the “real” world, it will be really annoying to carry around thousands of loyalty cards with you wherever you go, but when those loyalty cards are (essentially) public key certificates then there is no problem. So let’s go back to the nightclub and see how they might progress on a digital world, by creating a loyalty card based on digital identity infrastructure. Doing things this way has three distinct advantages. First of all, if you are a nightclub then your bar staff may well not be at MI5 levels when it comes to spotting a fake Romanian passport but they might be able to spot a fake version of your nightclub identity. (In practice, of course, they wouldn’t have to because the validity of the card will be checked by their phones). Secondly, by giving every customer loyalty card you are able to interact with them securely (in technical terms you can always send messages encrypted to that persona). Finally, as the nightclub manager himself notes, “we can also ban people and remove the card at our discretion, giving us more control and creating a safer environment”. On a commercial note. you might wonder why organisations that already spend a lot of money on working out who people are (e.g., banks) don’t take this sunk cost and transform it into a revenue stream. I’ve more than once been told by a bank that there is no business for providing ID as a service to business customers, when clearly this nightclub (to pick just one example) is perfectly prepared to spend money on creating its own identity service when I’m sure the management would much rather that their efforts be directed towards running a nightclub. Banks should be looking forwards by creating a digital identity infrastructure and then selling products and services based on the infrastructure to, for example, nightclubs. That way, the nightclubs could produce their own branded app (by adding a skin to a generic multi-bank identity app, for example) and pay the bank a pound to testify to the age of the holder rather than waste money having to do it for themselves. In CapGemini’s “Top 10 Trends in Retail Banking 2018”, they highlight “banks leveraging digital IDs beyond authentication” as their third most important trend. As it happens, I was talking about this earlier in the week in Trondheim at Betalingsformidling 2018, where I was asked to give a talk about the open banking era and the potential responses from incumbent banks. Photo: Betalingsformidling 2018 / Wil Lee-Wright Photography. Now, I suppose that to a great many of you this really won’t be any surprise, since anybody who thinks about the mechanics of commerce in a connected age must already have come to the conclusion that digital identity is core to the new economy. That’s a superficial and almost trivial point to make, but it masks great complexity because choices that are being made right now about how digital identity is going to work in the future will have a profound impact on the shape and nature of all of society. Of course, I don’t what identity is going to look like in the future any more than anybody else does (even if I do flatter myself that I’ve made some reasonably well-informed guesses on the topic) but I do think we ought to apply a kind of precautionary principle here. Since we don’t know how digital identity going to work, surely we should want it do develop under the auspices of institutions that society can constrain and influence. This is why I’m so convinced that banks should be the institutions to play the leading role as we evolve the tools, techniques and even the etiquette of a reputation economy. An obvious first step, and one that has been apparent for many years, is to federate bank identity so that it can be used in multiple places. We have many years of experience now and have seen how schemes ranging from bank ID in the Nordics to Aadhar in India (and our own dear gov.verify) have performed in practice so we can make some informed decisions about how digital identity ought to work. We shouldn’t start from the technology, from blockchains and biometrics, and then work backwards to see what the technologists will allow us to have or what corporations will impose given the technological constraints of the day. Right now we should be discussing what society wants from a digital identities and then working out what the best way to implement them might be. To do this, we need a model that can help banks, regulators, service providers and suppliers communicate and connect so that they can develop concepts and propositions to make some form of bank-centric, potentially cross-border, privacy-enhancing, secure “Financial ID” a reality. Identification: definition of the attributes that confirm, beyond any shadow of a doubt, that the user is who they say they are and not someone different pretending to be them. BBVA mean this in terms of Know-Your-Customer (KYC) of course, so what this means in practice is that the private key must be bound to the correct individual(s). Authentication: verification through credentials that the user is the customer they say they are (username and password, OTP, digital certificates and others). Obviously with PSD2 this means implementation of some form of 2FA to comply with the RTS on SCA. Authorization: the financial service providers (TPP) with a license to operate must be given authorization by the customers before they can access their accounts. They need to have proof of consent, which can be obtained through access tokens. I would generalise this point away from banking, as per the CapGemini comments, to talk about tokens for access to a wider range of services than simply bank accounts. Earlier this week I posted about digital identities (as opposed to digitised identities) and made the point that we are interested in electronic transactions, transactions that take place between virtual identities (that is, identities that exist only in the imagination of computers) we are primarily interested in the Authorisation Domain. I’ll come back to this in a moment, but for now let us assume that that Authentication Domain is essentially a solved problem and we don’t need to come back it in this discussion. My assumption is, that banks have strong authentication in place and that they use appropriate standards (eg, FIDO) so that they have device independence. In practical terms, in the world as it is now, this means that I can authenticate my bank Digital Identity (that is, I can demonstrate ownership of that private key) using any smartphone. The problem then all comes to down standardisation and mutual recognition of credentials in the Authorisation Domain. Let’s take a simple example has been discussed many times recently: IS_OVER_18. Suppose I want to log on and join a Wine Club. The wine club needs to know that I am over 18, so it wants to see a virtual identity that includes the IS_OVER_18 credential (that is, an IS_OVER_18 attribute digitally-signed by someone that the Wine Club trusts – and by “trusts” I of course mean “can take legal action against and recover damages from if the credential is incorrect). The Wine Club would obviously trust banks, so this should be straightforward: provided that we have standardised the Virtual Identity (an X.509 certificate, for example, or an Evernym DID) and that we have standardised the attribute (let’s assume there is an XML dictionary somewhere that defines IS_OVER_18) and that can can recognise the digital signature from an organisation that is on our list of trusted organisations. As I pointed out in Trondheim, this is a way for banks to participate in transactions, providing a useful service that is unrelated to payments or transaction fees. I, of course, understand that this means it will take sector-wide progress in the Identification Domain, practical implementation in the Authentication Domain and some commitment and co-ordination to get a working set of services in the Authorisation Domain. My question is why haven’t banks taken on board what Cap Gemini said in their report (and I’ve been saying with exhausting repetition for more than a decade) to come together to create the standards and definitions to move forward? Or, to put it another way, where is the MasterCard or Visa for identity (and is it MasterCard or Visa?). 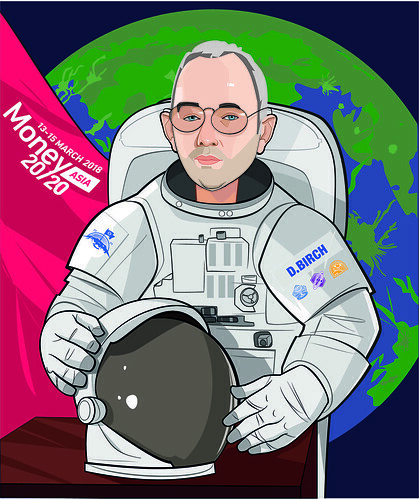 I’ll be testing my assumptions and asking these kinds of questions in Singapore at Money2020 Asia, by the way, as I’m chairing the session on Exploring Digital Identities on 15th March and welcoming some old and very well-informed friends – including Victoria Richardson from AusPayNet, Shamir Karkal from Omidyar, Teppo Pavlova from BBVA and Andy Tobin from Evernym – who will help me open up the topic for the audience. Do come along to “The Moon” at 11am and join us. What a piece of luck! 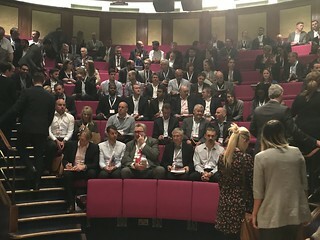 I was giving a talk at the CallCredit Fraud Summit at the Royal institution in London and I chose to talk about just how broken our identity infrastructure is. Hardly an original theme, but one that is worth amplifying. As Chris Green (CCO at Call Credit) noted in his introduction to the event, identity fraud is heading towards £200 billion per annum and identity theft is an epidemic. Pretty bad. Worse still, it looks to me as if no one knows what to do about this, particularly the Government. Given that the Social Market Foundation (SMF) had just issued their report “A Verifiable Success — The future of identity in the UK” (August 2017) which noted that identity verification processes in the UK have not kept up with either technological or social change and says that “the case for change is founded on the dramatic increase in identity fraud, the inconvenience of identity verification and the correlation with social (and therefore financial) exclusion”, I thought I’d talk about how to actually do something about identity in the mass market. 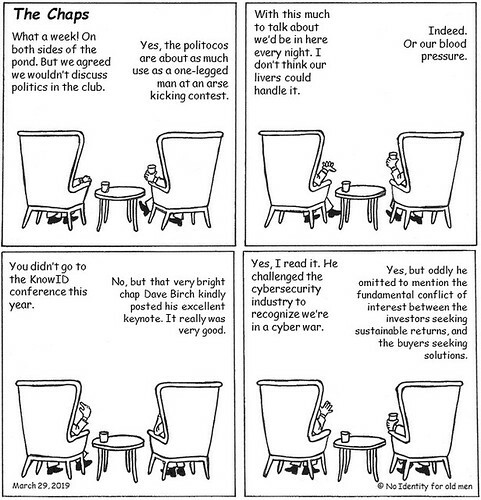 I illustrated the point about just how unsuited our ramshackle infrastructure is with the example of spies, referring to last year’s Financial Times interview with Alex Younger (“C”, the head of MI6 which is James Bond’s department of the British intelligence services) who explained just how hard it is to be a spy these days. In the old days, it was easy. Just grab a fake passport out of the draw and off you go. But, as the chief spy pointed out, today social media means that it is far more difficult to create a plausible alter ego. Sure, it’s easy to create a fake social media account. It’s easy, but not very useful to a spy. To be plausible, a fake identity needs a reputation. Reputation, unlike identity, is hard to fake. It has a time component. It takes years to build up a reputation that will stand up to scrutiny! If you wanted to pretend to be someone now, you would have to have started building the fake LinkedIn profile a decade ago. The point is that it’s hard for James Bond to pretend to be me, but seemingly easy for me to pretend to be a James Bond on internet dating sites. This is a fun and interesting way to think about some of the issues around identity and I think the audience liked it! So what was the piece of luck I referred to at the beginning? Well, I turned up at the event, along with the bestselling author (and former politician) Lord Jeffrey Archer. As we had some time spare, I thought I would be helpful and give Jeffrey a few tips on writing books, having just published one myself. I think Jeffrey really appreciated my hints and suggestions but unfortunately had to leave for an urgent meeting so I wasn’t able to go into too much detail with him. Before my talk I went off to grab a cup of coffee and picked up the day’s Times to read. It had the very perfect story for me featured prominently. Hence I was able to whip out a copy of the day’s Times and wave it around to great effect at the appropriate point in my presentation! The point that I was making, of course, is that identity is not just broken but optimally broken, in that it helps the bad guys but not the good guys. We need someone to stop forward with a vision for a better identity future! Where is this person! I heard the Minister for Digital Stuff (this may not be his exact title) talking on BBC radio a few weeks ago in a report on the government’s introduction of mandatory age verification for adult sites. When asked how members of the public could gain access to adult services, the Minister said that people could use credit cards (which is a terrible idea, see for example Ashley Madison) or show their passport to adult sites (which is an even worse idea). I confidently predict that the widespread adoption of either of these solutions will push identity theft even higher. So why is identity not fixed yet? As I tried to persuade the audience, if we are going to make any progress we need to have a very different mental model of what identity is. Not some Victorian notion of identity as an index card in a filing cabinet but as the cornerstone of digital relationships and therefore reputation in an online world. We need to develop the strategy based on digital identity, the bridge between the real and virtual worlds. I explain this using the three domain model, as shown on the slide below, and hopefully demonstrated just how powerful this view of identity is. We need to move our transactions into the authorisation domain as soon as possible. Let’s go back to example in the newspaper to see why. Imagine I go to the dating site and create an account. As part of this process, the dating site asks me to log in via my bank account. At this point it bounces me to my bank where I carry out the appropriate two factor authentication to establish my identity to the bank’s satisfaction. The bank then returns an appropriate cryptographic token to the Internet dating site, which tells them that I am over 18, resident in the UK and that I have funds available for them to bill against. In this example my real identity is safely locked up back in the bank vault but it has been bound to a virtual identity which I can use for online interactions. So my Internet dating persona contains no Personally Identifiable Information (PII), but if I use that persona to get up to no good then the dating sites can provide the token to the police, the police can see that the token comes from Barclays and Barclays will tell them that it belongs to Dave Birch. This seems to me a very appropriate distribution of responsibilities. When the Internet dating site gets hacked, as they inevitably do, all the criminals will obtain is a meaningless token: they have no idea who it belongs to and Barclays won’t tell them. One of the key attractions of this architecture, and I’m sure that I am not the only person who thinks this, is that it gives an expectation of redress in the event of inevitable failure. Things always go wrong. What’s important is what the structures, mechanisms and processes for dealing with those failures is. 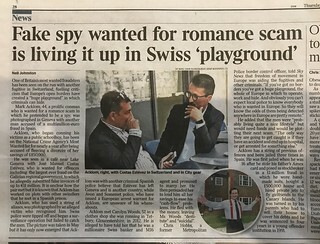 If some fraudsters take over my bank account and use my identity to create a fake profile on a dating site, then I’d expect the bank to have mechanisms in place to revoke the tokens and inform both the dating site and me that such revocations have taken place without disclosing any PII. This is important because PII is in essence a kind of toxic waste that no companies really want to deal with unless they absolutely have to. Under the new provisions of the General Data Protection Regulation (GDPR), the potential fines for disclosing personal information without the consent of the data subject are astronomical. Hence the complete cycle needs to be thought through because it will be crazy to have an infrastructure that protects my personal data when the system is operating normally but gives it up when the system fails, or when we attempt recovery from failure. Digital identity gives us a vision of how to do this in our new online world. It is how we keep our real identity safe and sound while we explore the online world in safety using our virtual identities. 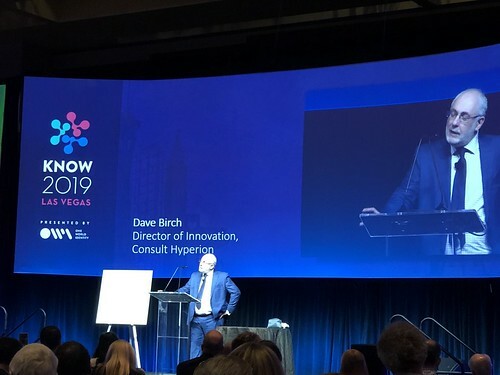 A huge thank you to Call Credit for asking me along to share this vision with their audience. My little corner of the internet seems awash with tales of a mythical utopia that goes by the name of Estonia. Since my little corner is the digital identity corner, I’ve been hearing about digital identity in Estonia more and more. At meetings and conferences, on social media and in conversation, I hear people talking about the Estonian national identity scheme that uses a blockchain. The Harvard Business Review, for example, tells us that “since 2007 Estonia has been operating a universal national digital identity scheme using blockchain”. This sort of thing crops up on Twitter from time to time. I’m not sure if some of the people tweeting about the Estonian national digital identity blockchain know that Estonia is actually a real place and that some people (e.g., me) have been there. In fact, here is a picture of me in Tallin to prove it. The Estonian national digital ID scheme launched in 2002. A decade ago a colleague of mine at Consult Hyperion, Margaret Ford, interviewed Mart Parve from the Estonian “Look@World” Foundation in the long standing “Tomorrow’s Transactions” podcast series (available here). Mart was responsible for using the smart ID service (both online and offline) to help Estonia develop its e-society. If you listen carefully to them talking, you will notice that they never mention the blockchain, which is unsurprising since Satoshi’s Nakamoto’s paper on the subject was not published until more than a year later, in October 2008. 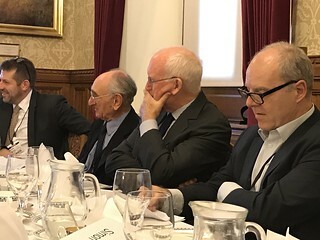 The strangeness of the obsession with Estonia in blockchain circles began to bother me after I was invited along to a blockchain breakfast (seriously) at the House of Lords last year. The invitation came because I had been asked to contribute to the Parliamentary Office of Science and Technology (POST) work on distributed ledger and the purpose of the breakfast was to discuss this report. The breakfast was hosted by Stephen Metcalfe MP, chair of the Science and Technology Committee. Sir Mark Walport, the Government’s Chief Scientific Adviser (GCSA), opened the proceedings. Sir Mark had authored the Government Office for Science report on “Distributed Ledger Technology: beyond blockchain” earlier in the year. In it, he focused on a particular kind of distributed ledger, the Bitcoin blockchain, and attempted to explain it to the general reader and then explore some of the potential uses. Personally, I found the report slightly confusing because it was jumping between ledgers, blockchains, the bitcoin blockchain and bitcoin almost on a paragraph by paragraph basis. What’s more, and I realise that I read the document from a very technical perspective and that I may see some of these things therefore in the wrong context, I think the report might have benefited from some more description of shared ledgers, and the reasons why Moore’s Law and falling communications costs have made the core idea of everyone storing every transaction a plausible architecture. Here’s the way that my colleagues at Consult Hyperion and I started to think about the ledger a couple of years ago, the “4Cs” model that has worked rather well. I prefer to use this layered approach to explain the key components of a shared ledger and then develop ideas around different choices in those layers. Different choices in consensus technology, for example, lead to a variety of different possibilities for implementing a shared ledger. In order to help categorise these possibilities, and narrow them down to make useful discussions between the strategists and technologists, I use the taxonomy that Consult Hyperion developed to distinguish between different kinds of public and private ledgers. Rather flatteringly, Sir Mark used a simplified version of the this model on page 19 of his report. When the report came out I said that it might be considered reckless to disagree with the GCSA, but I just did not (and do not) see cryptocurrency as a sensible government option for digital currency. Anyway putting my nerdy criticisms to one side, Sir Mark’s conclusions (which were essentially that the technology is worth exploring in government contexts) were surely correct. He said that permissioned ledgers (i.e., not the Bitcoin blockchain) are appealing for government applications and I’m sure he was right about this, although I remain sceptical about some of the suggested government uses that are based on costs or efficiency. I think that his suggestions around applications that focus on transparency are the more interesting areas to explore in the short term and they would be my focus if I were looking to start exploratory or pilot projects in the field. I share the Open Data Institute’s view on this, which is that blockchains could be used to build confidence in government services, through public auditability. It seems to me that many of the efforts to move shared ledgers into the marketplace have concentrated on shaping shared ledgers to emulate existing solutions in the hope that SLTs will be faster, higher or stronger. These are all unproven assertions. It is possible that a shared ledger replacement for RTGS might be cheaper, or more resilient or more functional that the currency centralised solution, but who knows? 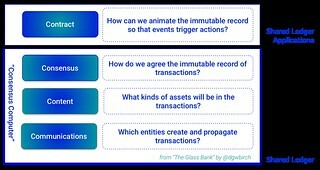 The transparency of the shared ledger, the aspect that most doesn’t work for current solutions in current markets, may well turn out to be the most important characteristic because it allows for ambient accountability and therefore opens up the potential for new kinds of markets that are far less costly and complex to regulate, manage, inspect and audit. This is the “shared ledger as regtech not fintech meme” that I am rather fond of. Just as the invention of double-entry bookkeeping allowed for the creation of new kinds of enterprise, so it seems to me that the shared ledger will similarly lead to new kinds of enterprise that use the shared ledger application (the SLAPP) as the engine of progress and the focus of innovation. I assume that there are kids in basements experimenting with SLAPPs right now and that this is where the breakthrough use case will come from. As I said some time ago in a discussion about shared ledgers for land registry, turning the ledger into a platform may be the most important reason for shifting to this implementation. At the breakfast, Sir Mark said that the goal of the POST reports is to demystify technology for policy makers although I have to report that in his closing remarks he said that we had not been entirely successful in this enterprise and I fully concur with his opinion. That’s not why I’m talking about it breakfast at the House of Lords here though. Back to Estonia! At one point, the breakfast discussion moved on to the Estonian electronic identity system. At this point I expressed some scepticism as to whether the Estonian electronic identity system was on a blockchain. The conversation continued on the basis that it was. 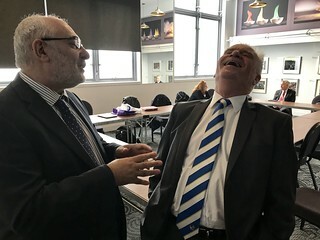 Then to my shame I lost it and began babbling “it’s not a blockchain” until the chairman, in an appropriate, gentlemanly and parliamentary, told me to shut up. The point that I was trying to make was that the Estonian ID scheme, launched in 2002, has nothing to do with shared ledgers or mutual distributed ledgers or blockchains. 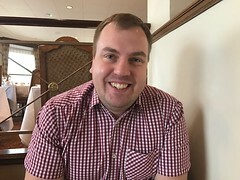 As it happens, a some time after my breakfast with their lordships, I had another breakfast, this time with the new CIO of Estonia, Siim Sikkut. Long-time validity of these [digitally-signed] documents is secured by logging of issued validity confirmations by the Validation Authority. This log is cryptographically secured by one-way hash-function and newspaper-publication to prevent back-dating and carefully backed up to preserve digital history of mankind. Well, there we have it. It looks as if the mention of the record of document hashes has triggered an inappropriate correlation amongst observers and, as Siim observed, it may indeed be the origin of the fake news about Estonia’s non-existent digital identity blockchain.